Who buys the cookies? Where do we get the coffee? Who loads the dishwasher? Who takes out the recycling? Our Volunteers do! It takes many hands to play hands at the London Bridge Centre. 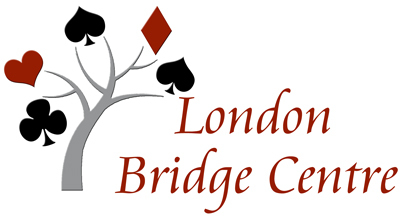 As a member managed bridge club, the London Bridge Centre relies on our members, our Volunteers, to enable the club to operate successfully. And do we have more than handful of volunteers? We sure do! Just take a look at all our Committee and Volunteers members. We all owe our many volunteers much gratitude and a hearty thanks. The LBC has many dedicated members who fill the many roles that allow our club to provide a full range of bridge services to our members. We all owe a great deal of thanks to our Committee members who have made the London Bridge Centre such a successful organization. No Chair, Marie Wiley, Audrey Craig, Judi Carter, Hazel Hewitt, Ross Driedger, Dwight Bender, Mary Howe, Barry Onslow, Peter Tuttle, Terry Wright, Paul Yorke. Diane Bryant attends from the Education Committee. Jackie Potters (Board Contact), Marlene Benny, Judy Brown, Eva Good, Sheila Elston, Louisa Leugner, Eve & Russ Harp, Sue Edwards, and others who help with Christmas, New Years, Volunteer Recognition and other events. It seems so simple. Just walk in, pay your bridge fee, sit down and wait for the boards to get delivered. But there is a lot of planning, co-ordinating and above all, volunteer effort that encompasses the running of the London Bridge Centre. And it just wouldn't happen without the extraordinary support the club receives from our volunteers. Through the combined efforts of the Board, Committees and volunteers the London Bridge Centre was planned, then launched and subsequently grew into a premier bridge centre. Much of the club's success is directly attributable to our volunteers. So on your next hand, pause and put down your hand and give a hand to all our helping hands. Various; Terry Tack, Sheila Elston, Marg Blackie, Louisa Leugner, Eve Harp, Noreen Franklin, Judy Brown, Marg Steers, Gillian Richardson and several more.